Welcome Arnaud from Belgium. He is our exchange student who is staying with Sarah Trisko's family. 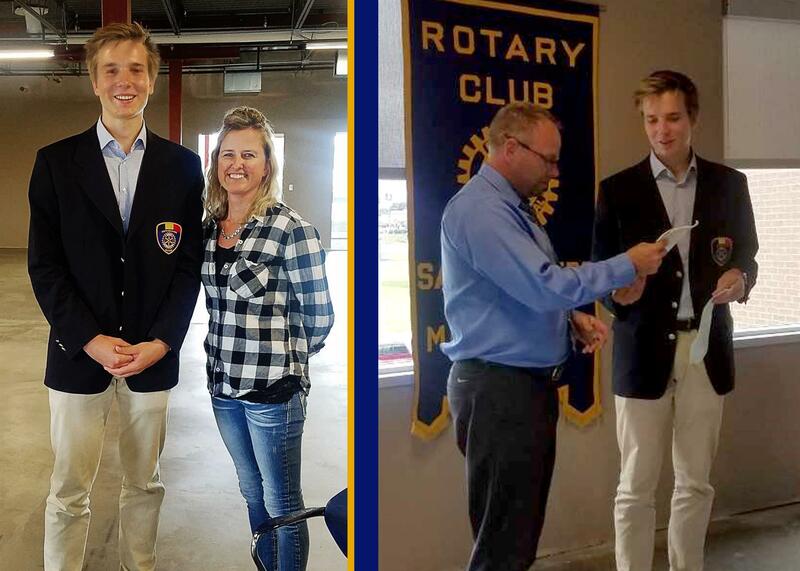 He is pictured here with Sarah Trisko (left) and Mike Traeger (right) our club President as they exchange Rotary flags. We are excited to hear and learn about his home and his Country in the coming weeks.